Excel can be very tricky about rounding numbers. Almost half of Excel users still believe that if they format a cell to round to two decimals, that what they see is what they are calculating with. This of course is not the case. For the purpose of rounding numbers in Excel three functions are available, ROUND, ROUNDUP and ROUNDDOWN. This are well known functions and I’m sure most of the readers know how to use them. But what if you want to round the values to a nearest multiple of 50? So 123 becomes 100, 12 becomes 0, 175 becomes 200 and so on… For this, we need a new set of functions. MROUND in an equivalent of ROUND but it rounds a number to a multiple. Pretty straight forward, but what if you were set on rounding up to the next multiple of 50. CEILING in the equivalent of ROUNDUP but it rounds a number to a multiple. Great so far, but what if you were set on rounding down to the previous multiple of 50. FLOOR in the equivalent of ROUNDDOWN but it rounds a number to a multiple. I just KNEW there had to be a way to do this!!! I used to have time to explore the help features or take a class, but I’m so busy now that I just find ‘work-around’ solutions using what I already know. I have Microsoft’s Excel Expert certification for an older version, I’m not a novice user and I really enjoy learning new ways to expand my MS-Office horizons, especially in Excel and PowerPoint. 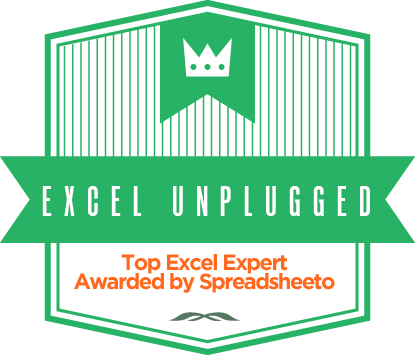 I love the short, direct format of your tips and you seem to have a knack for knowing the most desirable Excel secrets 😉 This is the third of your helpful hints I’ve saved and you are my new Excel guru. Your comment really means a lot to me and I thank you for the praise! And it’s worth saying that it’s people like you, that make it all worth while! Great note. FLOOR and CEILING are standard mathematical operators, but MROUND was new to me. Very useful to know. impressed! Extremely useful info particularly the last part 🙂 I care for such information a lot. This note really useful. Thanks for enlighten me with this new function.